This is the fourth year that the Rotary Club of Miami-Brickell raise funds to distribute food among individuals and organizations in the community. Many volunteers helped buy, pack and deliver food in the community which will feed as many as 800 people. 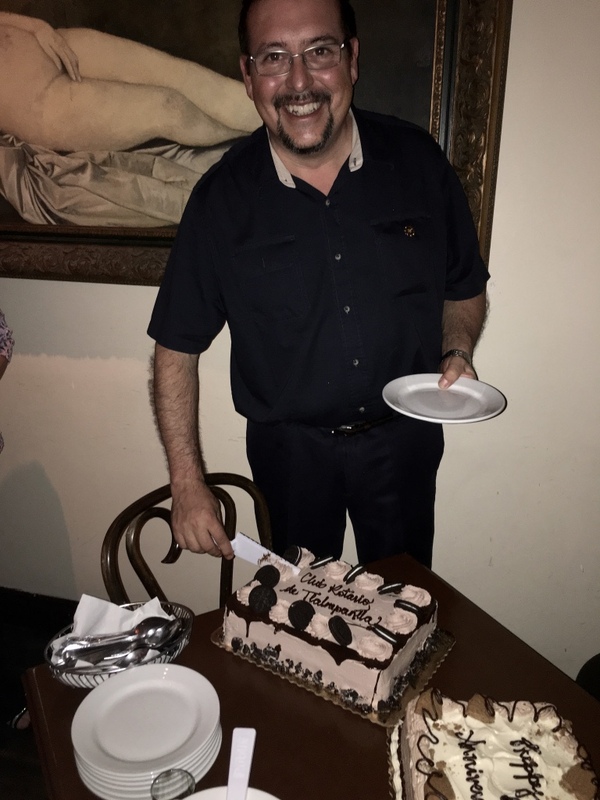 Roberto Ruvalcaba, Rafael Arenzana, Patricia Millan, Tom R.
Many members and guests enjoyed a good time with fellow with Governor Alan Cohn and Presidents of these five clubs: Key Biscayne, Coconut Grove, Miami, Miami Beach, and Brickell. Join us to celebrate the start of a new year and for a fun game night party FUNraiser hosted by the by the Rotary Club of Miami Brickell in support of the Brickell Rotary Foundation and Safespace Foundation to help victims of domestic violence. If you can’t join us, please consider making a donation here. The Rotary Clubs of Miami Brickell and Miami Beach are having a fundraiser for our neighbors in Haiti who were severely affected by Hurricane Matthew. Please join us to show your support in any way you can. We will be graciously accepting donations and there will be auction items, raffle prizes, cocktails, and small bites. Click here to RSVP and purchase a ticket. Thank you! If you can’t join us, please consider making a donation here to aid the Haiti Relief project. View this video to see the call for help. Join us to celebrate the beginning of a new rotary year! July 12th at 6 p.m. 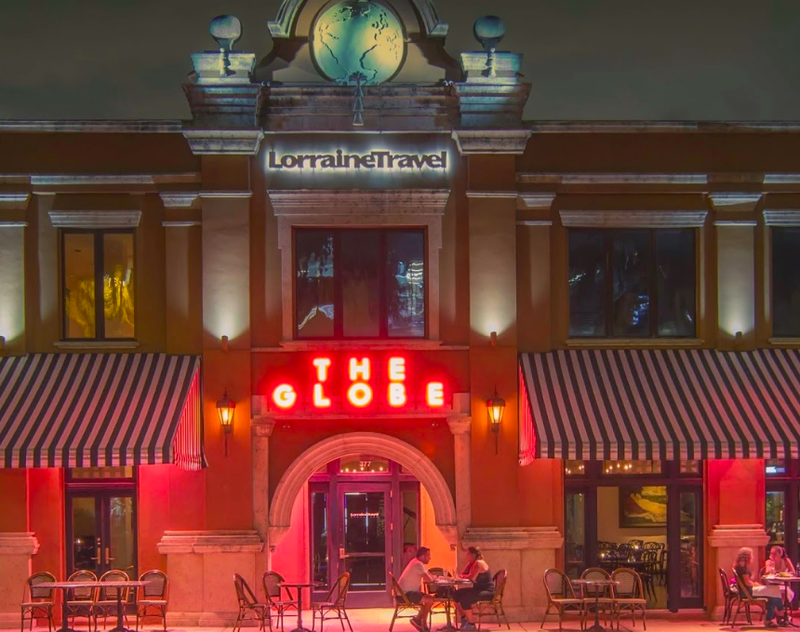 Enjoy cocktails and sampling of fine Italian cuisine from the Toscan Region and the opportunity to network among like minded individuals and professionals. Please RSVP and support the foundation with your donation of $35 per person by clicking here. If you cannot attend, please consider making your donation to support the Rotary Brickell foundation 501 C3. Thank you for your support and being a proud member of the Rotary Brickell Club. The Rotary Club Tlalnepantla from Mexico celebrated its 60th anniversary by taking a cruise in Miami! 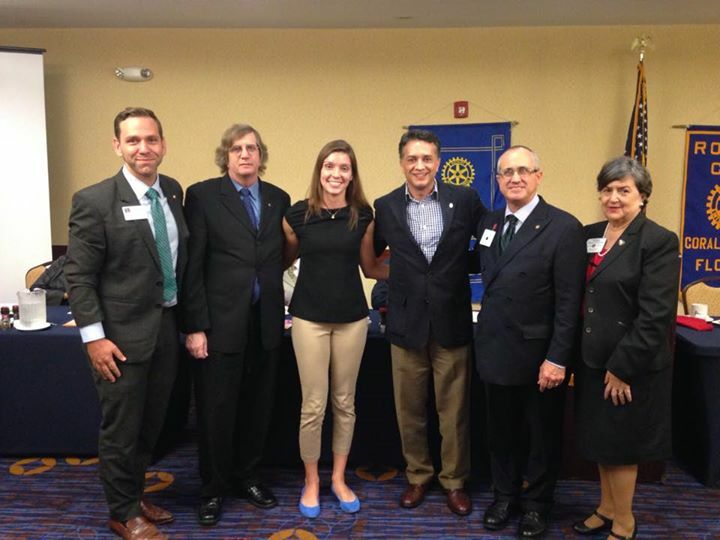 They came a day early to get a chance to meet members from the Brickell Club other rotarians in the area. This truly reminds us that Rotary is an international organization. 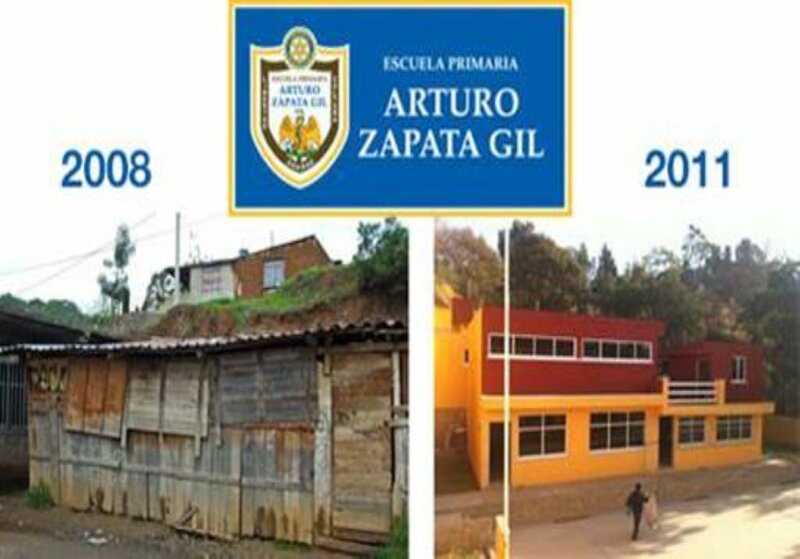 Over the past 12 months the club sponsored two special projects focused on education (one locally in Miami and another in Mexico City). Each project provided computers to organizations helping people in need. 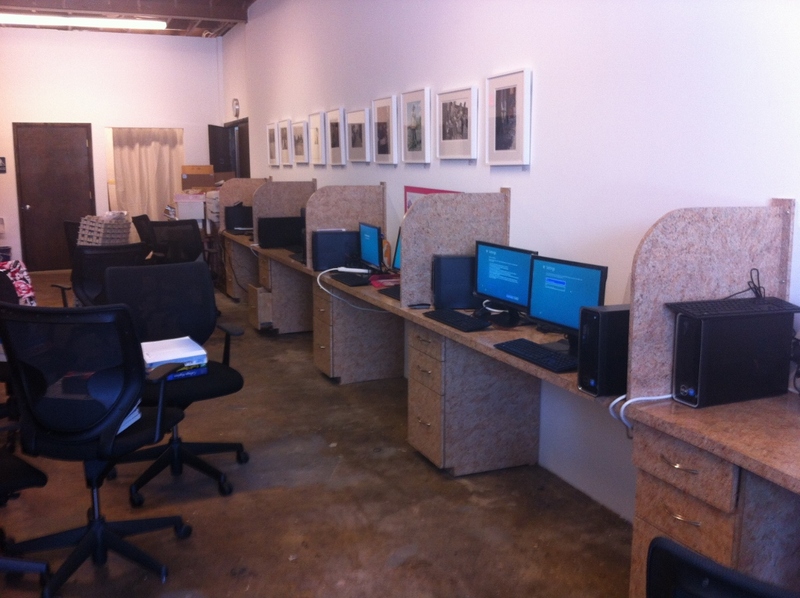 Locally in Overtown Miami, the Brickell Club supplied the computers for the training room in the Lotus House Shelter. 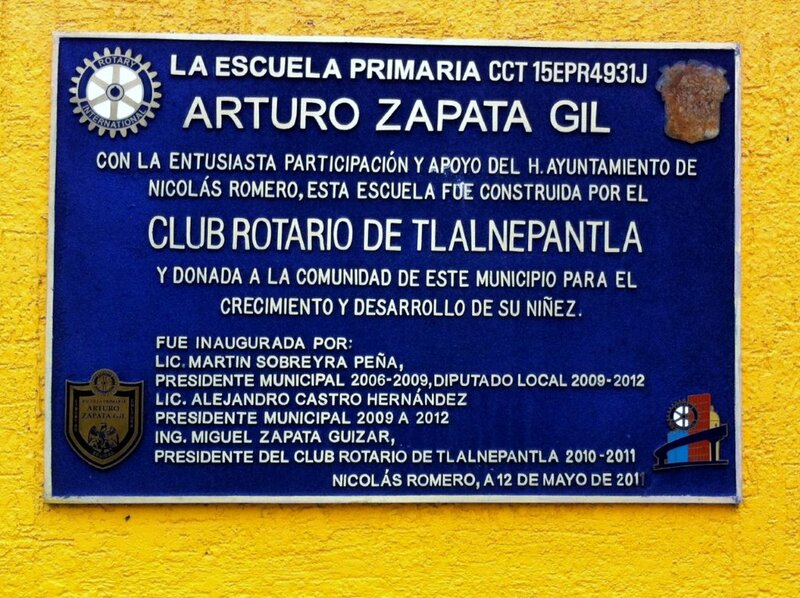 Internationally in the outskirts of Mexico City, the Club provided computers and projectors for the classrooms in a school that was built by a local Rotary Club. Both projects foster computer literacy which is increasingly important to communicate, learn, and ultimately get better paying jobs. These projects were possible thanks to funds raised by the Brickell Club, but also thanks to grants provided by rotary district 6990 and the rotary club of Coral Gables. About: The Rotary Club in Miami Brickell is an international organization of business and professional people who meet every week in the heart of Miami – the Brickell area. 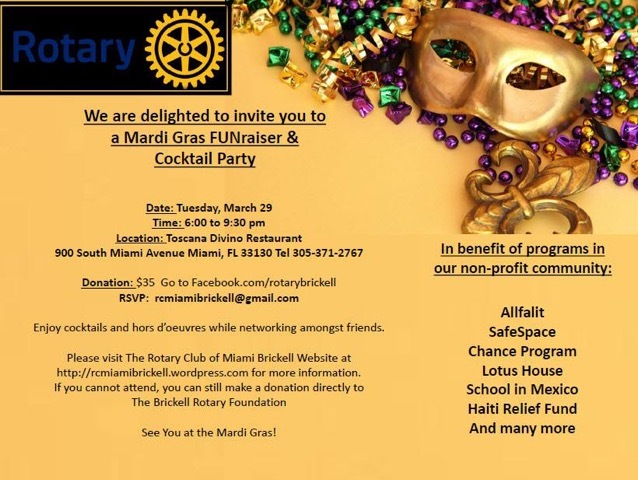 Rotarians and Friends: We have planned an exciting event to introduce our members and friends to Miami’s fascinating history while at the same time raising money to support our Club Foundation (which in turn supports our many projects, such as the Job Training Center at Lotus House). On Saturday, May 2, 2015, at 10:00 a.m., we are partnering with History Miami to organize a two hour long walking tour of Flagler Street, the Miami-Dade Courthouse, and other historical sites in Downtown Miami. Afterward, we will have lunch at a location TBD (not included in ticket price). Our tour will be led by renown local historian, Dr. Paul George. Tickets are only $30 and all proceeds go to the foundation. Availability is limited (the tour is capped at 35 participants). 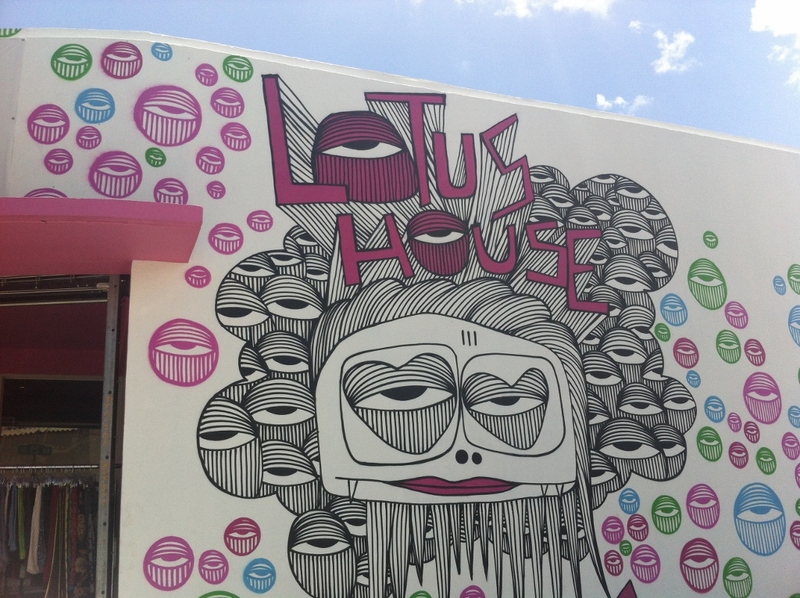 What: Historical Walking Tour – – Benefiting the Rotary Club of Miami Brickell Foundation. When: Saturday, May 2, 2015, from 10:00 a.m. to noon. Where: Meet at History Miami, 101 West Flagler Street. PLEASE BE ON TIME!!! Cost: $30 per person (guests welcome). 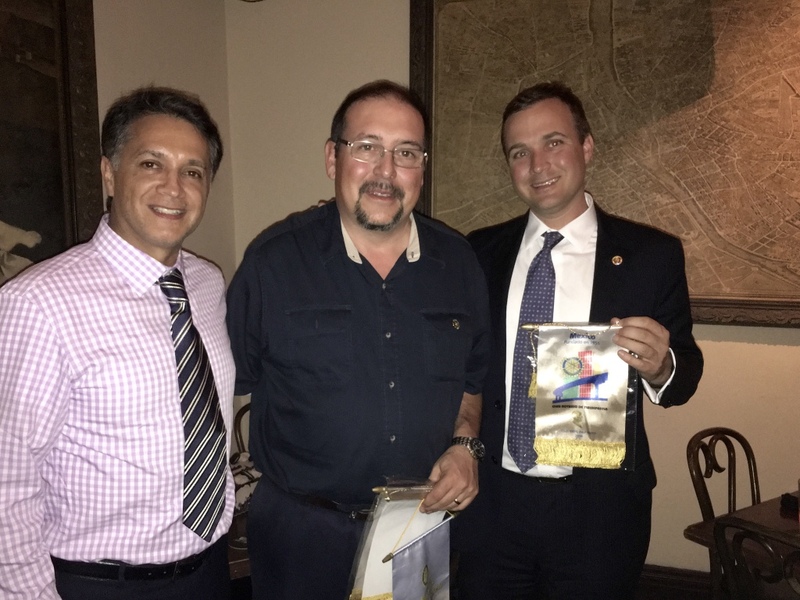 Members of the Brickell Rotary Club in Miami celebrated club’s 5th Anniversary at Novecento in Brickell. President Roberto Ruvalcaba and three past presidents (Susan Matos, Antonio Pinheiro, and Jeff Pujals) were present to celebrate! The Rotary Club of Miami Brickell is one of over 30,000 Rotary Clubs world-wide, and is comprised of business and professional leaders dedicated to providing humanitarian service, encouraging high ethical standards in all vocations, and helping to build goodwill and peace in the world. Our club meets on the first and third Tuesday of every month at 7:30 a.m. and the second and fourth Tuesday of every month at 6:00 p.m.